Real People, Real Results, Guaranteed! Let Certified Trainers with decades of experience changing people’s lives, help you achieve your goals! I lost 15 pounds and became toned! My initial goal of just losing “the last 10 pounds” was accomplished quickly and was surpassed as I lost almost 15 pounds and gained much more muscle tone/definition. I can say that I genuinely enjoy coming to workout with John every week. He pushes me harder than I would ever push myself. Even when I feel like I can’t keep going, he knows how to encourage me to continue. John stands out with the amount of knowledge about personal training. He is also very down to earth and I like that he sincerely cares about his clients and what is going on with their lives. During the sessions, it’s nice to be able to talk to him to keep my mind off of whatever it is that I’m doing in that exact moment or even in my life. I would definitely recommend starting training! Training with John has made me more confident in myself and happier overall. I have much more energy and balance in my life. Eating well and working out has been such a huge part of my life and more of a habit than a chore. I was 40 pounds overweight, had recently broken my leg and didn’t know how to get started. In my first session I told John that “just keep me coming” was his only goal. Now I know how to maintain an active lifestyle for the first time in my life - I love to work out. I'm doing activities I couldn't do ten years ago! The best of all for me is that he’s a great motivator and he does it all with great feeling for each of his clients. Not all of us want to do a boot camp and he doesn’t need to employ fad-inspired “drill sergeant” techniques to get you and keep you motivated and working hard. It is hard at times, but I always feel tremendously better after training. It’s a new emotional attachment that is anchored in me because John taught me how. He is also incredibly knowledgeable. I’ve asked him just about every question you could imagine about food and exercise. He’s patient and very helpful. 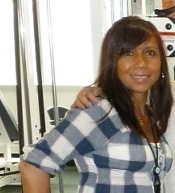 I consider John an incredible trainer and recommend him all the time and without reservation. I initially had reservations about starting, but after nearly 2 years, down 40 pounds with proper training and eating, I feel tremendously better. Just try the free assessment and see if it's a good fit for you! Caitlin Was Wedding Day Ready! 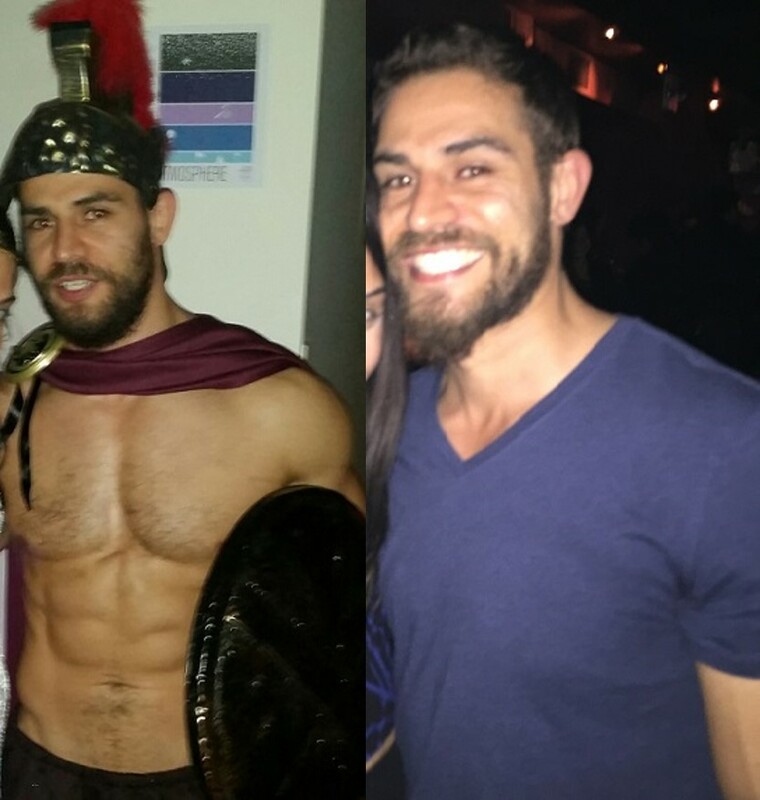 I started training with John 8 months before my wedding and my initial goals were to lose weight and become toned. I achieved both of these goals under your direction and was so happy with my results and genuinely enjoyed going to the sessions that I couldn’t fathom cutting back on the training sessions after the wedding. In fact, I was still attending 2 personal training sessions per week up until this October when I stopped training 2 weeks before having a baby. When I first started training with John, I had never really lifted weights and felt that doing so would make me bulky and was scared I would hurt myself because I didn’t know how to lift properly. Now I look forward to certain lifting exercises like deadlifting, which I never thought I would do, let alone enjoy. In fact, learning how to do exercises that I have never done before is one of my favorite parts! My only fear with recommending you to family and friends (which I would do!) is that you would become too popular and I wouldn't be able to schedule training sessions anymore. Training has become an important and regular part of my life. I now care more about working out and am more conscious of what I eat. After having the baby, I stopped training for 2 and a half months and I felt like a part of me was incomplete because it has become such an integral part of who I am. John really educated me on the benefits of lifting weights and how they would help me reach my personal fitness goals. I was surprised by how much of a “fitness nerd” you are. In my past experiences, trainers I had worked with did not know as much as I would expect them to given that personal training was their livelihood. You are on a whole different level. You know the technical science behind the fitness and nutrition and you are educated about the psychology and wellness aspects of a healthy lifestyle. It isn't one-sided training with you, it is all encompassing. Since working out with John, I have noticed a major change in my quality of life. Besides having an increase in energy, the muscular gains, as well as the overall core strength that I have made while training with John have far surpassed anything that I thought I could do. I recently deadlifted 300lbs! While my workouts are, of course demanding, I do look forward to them. Surprisingly, even more than that, I look forward to where I will be in the next six months! My favorite part of training with John is the individualized workouts that are geared to my specific needs. Through John’s leadership and motivation, I never feel overwhelmed by the workouts he creates for me. John is incredibly knowledgeable! As an educator, I appreciate and value the time John takes to teach me about the various workout routines and the affect it will have on my body. Additionally, he takes the time to review my daily food log and holds me accountable for taking the necessary steps I need through my nutrition in order for me to reach my goals. I believe the single greatest characteristic that distinguishes John as a leader in the personal training field is a heartfelt and self-evident sense of caring for the client. I would absolutely recommend John to anyone who wants to improve their overall fitness! You will not be disappointed! Working with John has been transformational to my life! 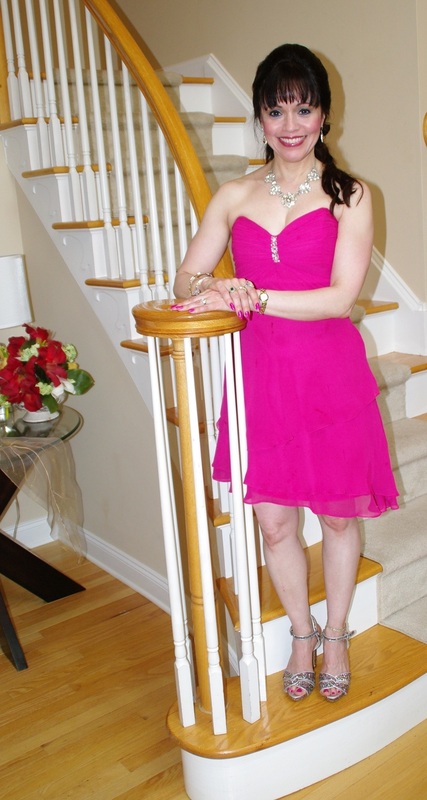 Seriously, I’m 52 years old, and young ladies who are 20 years or more my junior would come up to me and tell me how great I look, how fit, and how strong I am (seeing me at the gym). Based on the results they have seen, I was able to refer other clients. As to body fat%, weight, etc…I have lost 12% body fat, lost 10 lbs, dropped 2 dress sizes (I was size 7/8, now I’m size 3/4). More importantly, my blood pressure is now normal, and have decreased the medication I need to take. Working out with John was surprising and different because he knows your strengths and weaknesses. He knows how and when to push me for optimum results. He gets me to work harder by how focused he is when you’re training with him. The results I’ve gotten are surprising because I never thought I could achieve them ie. I’m so strong and never thought I could dead lift 185 lbs. He is not only amazing when it comes to exercise physiology but also the guidance on healthy eating habits because working out is half the battle, the other half is eating right, sleeping right and understanding your body. All of this is what John teaches/shares, so basically it is a complete transformation of body and mind! With two kids, I've went down 3 pant sizes in 2 months and feel great! I feel like there is nothing I can’t do now. I’m active, I’m healthy and strong! All it takes is just one time to work out with John, and you’re hooked, you want to keep coming back. Patricia Lost Over 20 Pounds! As a mother of 3, I never really felt like I had the time to workout, but I’m glad I just started. John has taken the time to show me proper technique and has pushed me further than I would push myself. He knows what I am capable of and uses that to push me further. I’ve seen amazing results! I finally hit my ideal weight and now have a toned back and arms and have much more endurance, although we never did any jogging. Through hard work, I can complete 20 push-ups, 3 pull-ups and deadlift over 175 pounds! In addition to those results, John has taken the time to offer additional advice on diet and taking supplements while working around my crazy schedule. Training with John has changed my life for the better, not only in terms of bodily changes, but with increased self-confidence and a lot more energy. I feel and look better now, at 40 than I did at 30! Arthur gained 12 pounds of muscle in 6 months! My initial goal was to gain muscle and I hit my initial goal after 6 months where I gained 15 pounds without really increasing body fat. This has helped me to fill out a bit and look better. After I hit those initial goals, I set new goals as I was surprised to get results so quickly. Working with John keeps you honest. Even if I’m not up to working out, I end up going and definitely feel better from before I start working out. In general, I have more energy overall, especially on the days when I train. I would recommend John to friends and family as I enjoy the training sessions, have had good results and feel that others would do the same! ~ Arthur P.
Emma Lost 16 Pounds and Learned to Love Working Out! John is very knowledgeable and helpful. When I started training with him, my goal was to lose 20 pounds and be done with working out, but after couple months I found myself loving to workout. As a girl, I was always bad at PE and never imagined that one day I would go to gym on a regular basis. Now I've finished training with him (lost 16 pounds), and I'll always thank him for bringing me to the "enjoying working out" world." 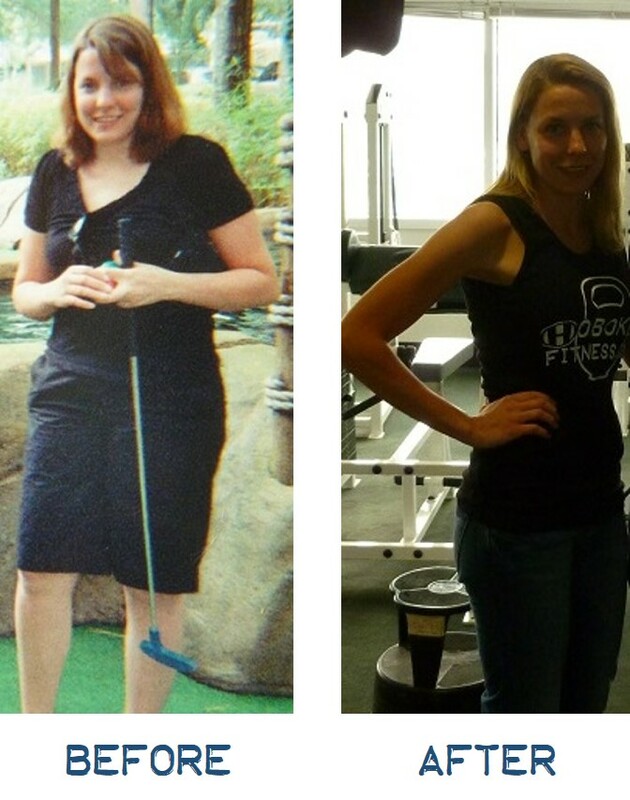 ~ Emma S.
Lost Fat Around the "Nagging Areas!" As I was approaching my next milestone birthday, I wondered if it would be possible to lose weight, get rid of the nagging fat around my abdomen and thigh area, while achieving more of an overall sculpted and muscular physique, especially at this stage in my life. As of now I lost all the weight I wanted to lose/decreased my body fat, achieved my desired sculpted look by adding definition to my waist/abdomen, back, arms, glutes, and legs. I’ve learned how to eat better and healthier foods. I look fit, feel stronger and more energized than ever. With his positive approach, John worked with me consistently twice a week on a great strength training program coupled with an appropriate effective meal plan. John has always been encouraging by pushing me to do more than I realize I can, even when I whine. He always seems to know how much you can really do and is really genuinely interested in helping you to succeed as you progress every step of the way. I even managed to deadlift up to 200 pounds. Wow, I never imagined I’d ever be able to do that! One thing that has really impressed me, about John, is his deep understanding on the physiology of the human body, from body building, effects of injuries, metabolism, hormones, fat burning capabilities, effects of food and environmental factors on the body and much more. It’s nice to know that you can ask him anything and get a detailed full answer from him. It’s not all about just how to do exercises, there is more involved in achieving overall health and fitness and John can certainly educate you on that. John is a true Professional and Master in his field. At 115 lbs., 5’ 1’’ tall, I’m definitely where I want to be. 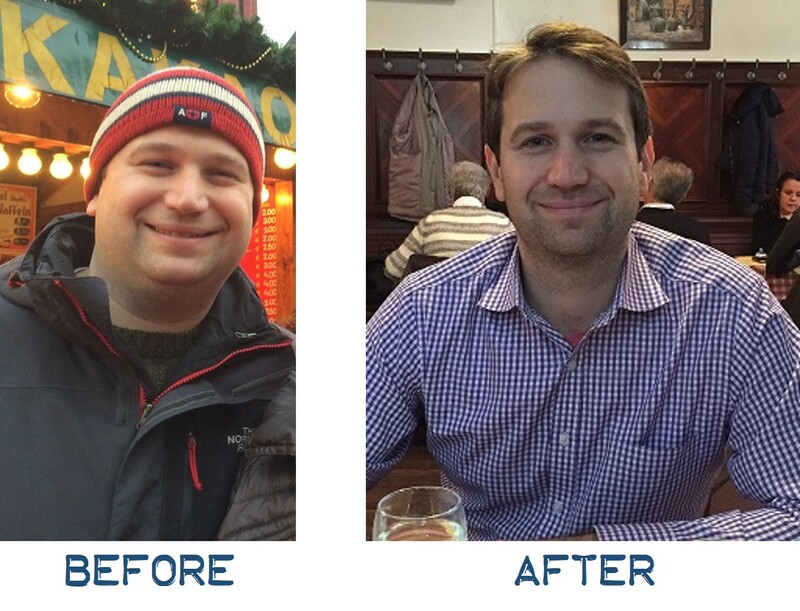 If you want to make a change to look and feel great and healthier, then John is the man to see. You won’t be disappointed." 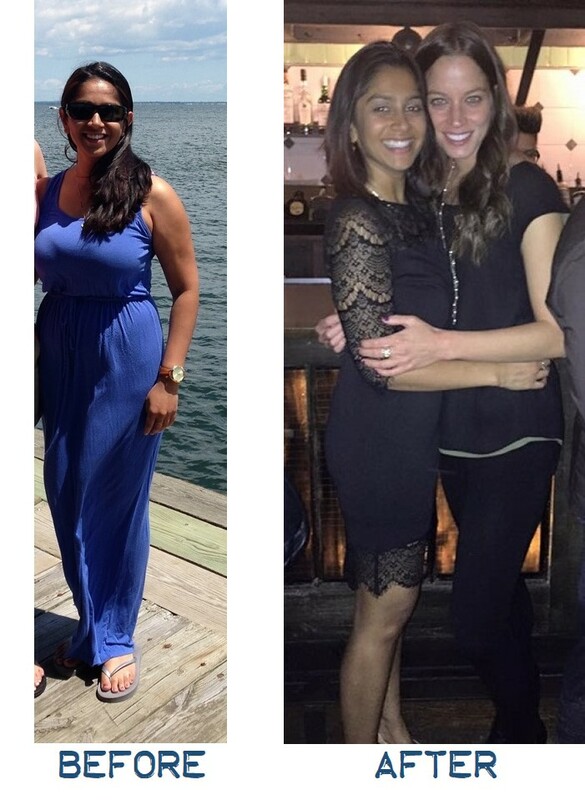 Ruta Surpassed Her Goals and Lost 15 Pounds! When I started working with John, I had an initial goal of losing 10 pounds and ended up losing 15 pounds while achieving so much more! After hitting that initial goal, and working with John for about a year and a half, the changes I see in myself is more than I could ask for. I have lost fat, gained muscle, toned up more than before and beyond that, I’ve learned to eat healthier while being more conscientious of my overall nutrition. Many times I walk into the studio tired, not in the mood and grumble through the workout, but in the end I am always happy that I showed up. John is encouraging and pushes you to do more than you ever thought you could without being aggressive. I am truly grateful to have John as my trainer! Sign-up Below to Get Started with a New Body and Better Health! 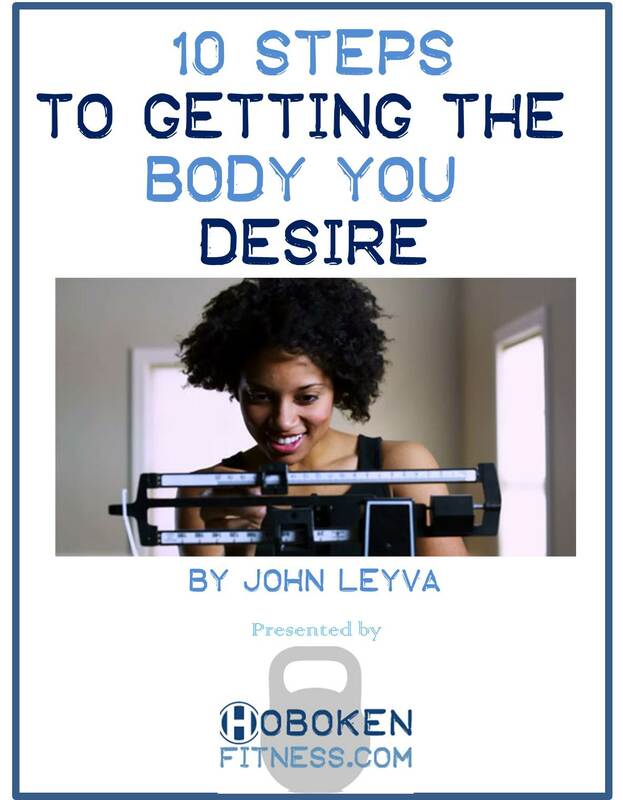 If you're not ready to sign-up for a FREE ASSESSMENT, then at least take this quick e-book that gives you 10 steps to get you closer to the body you desire. John has been helping men and women lose fat, lose weight, tone up, feel more confident about their body and their lives for the past 12 years. 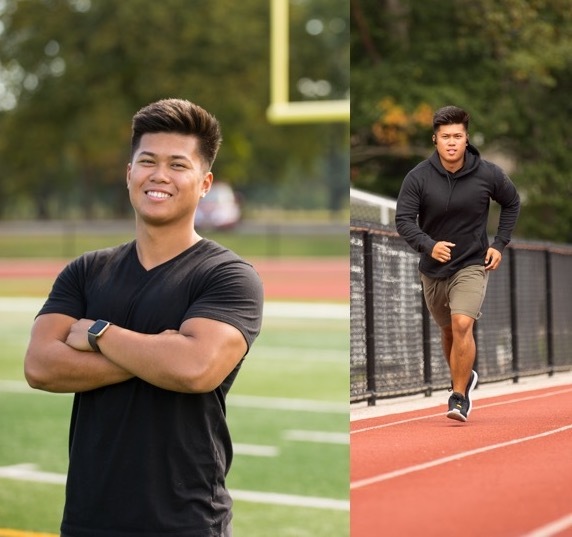 With a dual degree in Exercise Science and Psychology from Rutgers University along with 15+ personal training certifications ranging from National Academy of Sports Medicine to Pre and Post-Natal Training and Certified Strength and Conditioning Specialist, he can help you achieve your goals! He's helped clients from 14 to 64, with injuries ranging from back problems, herniated discs, sciatica, shoulder pain, knee pain, hip pain and everything in between to help them move past their injuries and towards the body's they want. 1 - Weight Loss/Fat Loss - He has helped 100's of men and women successfully lose weight, "tone up" and teach them how to keep it off for years to come. 2 - Muscle Gain - This is usually for the men, but no matter men or women, if this is your goal, he has helped many people gain strength and muscle by pushing you further than where you would push yourself. He has accomplished both of these goals by focusing on the individual client, where they are starting at from a physical stand point and building them up from there. Also, you start to be held accountable for your eating and you work on changing your eating, one meal at a time. Over the course of the first few months, you go from where you're at nutrition-wise to where you're supposed to be with your eating and in doing so, you move ever steadily towards your goals. He believes that Fitness Should be a Part of Your Life, not Your Life and has been helping people who don't necessarily "love exercise" improve their lives through exercise and better nutrition for over a decade! So if you're looking to feel better, no matter what injury you may have or to look better, no matter where you're starting from, then get started with the Free Assessment Today! 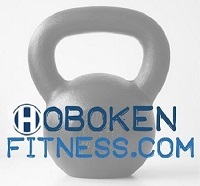 And if you're still hesitant, you can email him directly at John@HobokenFitness.com. Hit the Free Assessment Button to Get Started! 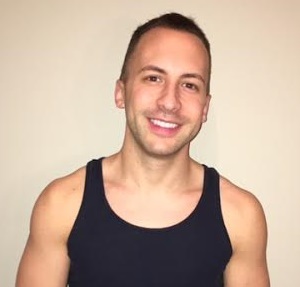 Jesse Barton is a NASM-certified personal trainer, who also holds a Master's degree in psychology. Her approach to training reflects her knowledge in both fitness & psychology, meaning as much as she’s willing to help you better and dedicate yourself to improved fitness, she also believes in finding an element of enjoyment throughout the process. To that end, Jesse tries to make each session enjoyable, while capitalizing on the heightened endorphin and "feel-good" chemicals during intense workout sessions, so that you stick to your goals over the long-term. Over the past couple of years, Jesse has taken her own fitness history starting with gymnastics at age three, followed shortly by dance (primarily ballet, jazz, and tap) from ages 10-22, and a current passion for distance running, into a career of helping others – even if it’s not their passion. As a Wilhelmina fitness model, she has appeared in ads and campaigns for companies such as Adidas, Asics, Macy's, Skecher's, Target, etc. and knows what it takes, both personally and professionally to help you achieve both a better body and stronger mind! If you’re looking to lose weight, tone up, become healthier, get a bit stronger and feel more confident about your body, Jesse can help get you there! Book a Free Assessment Today! 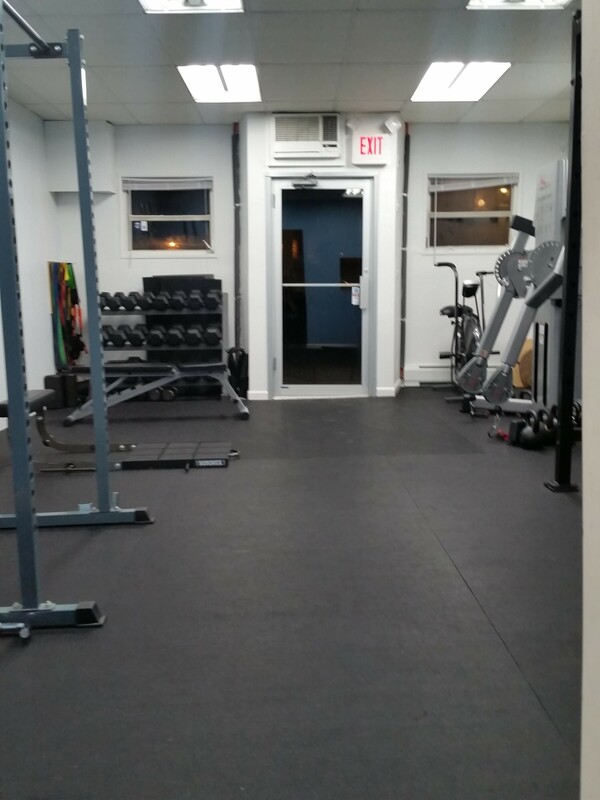 There is one basic premise of Hoboken Fitness: Fitness should be a part of your life, not become your life. That sentiment is fully embodied in the newest member of the team, Ezekiel (EZ) Gavieres. He believes that training is not just a way to get in shape but also a way to stay healthy enough to enjoy everything else in life – from running marathons and league sports to playing with your children and loved ones to just being active on the weekends. Certified through NCSF and a bachelor's degree from Kean University in Phys. Ed. Global Fitness and Wellness he comes from a background of helping people of all ages, from elementary aged to seniors, in a variety of fitness settings. If you’re passionate about life, and just need help figuring out a way to have a better body and health, to enjoy that life, then schedule a time for a free assessment and workout with Ezekiel. The studio has everything you need to achieve your goals, from free weights, TRX, kettlebells, barbells, cable machine, rowing machine, airdyne bike and more. Whatever tool you need to achieve your goal, you can find it here where you get private 1-on-1 training where there will never be more than 2 clients working out at the same time. Discover the secrets to the body and health you've Always Wanted! Whether your goal is to lose weight AND keep it off for good, or to gain muscle or simply "tone up," your journey starts here! If you follow the nutrition advice and show-up to all of your planned workouts and are not completely satisfied for whatever reason, you can get a 100% refund on your purchases. I stand by my work and if you’re willing to put in the effort, I want you to be satisfied with the Results! Sign-up for a Free Assessment Today! You have nothing to Lose!